Visions of Spain is a new series I began this summer, which are expressions inspired by the amazing country of Spain. 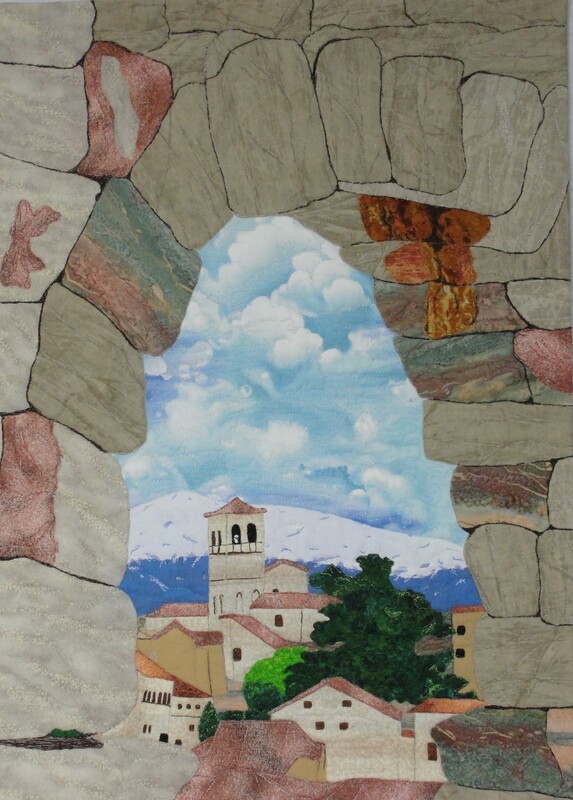 Its sights, sounds, art, history, vistas, food, and music…In this piece, The Present Through the Past, one looks through an arch of a Roman Aqueduct and gets a view of the wonderful city of Segovia with the snow-covered mountains in the background. 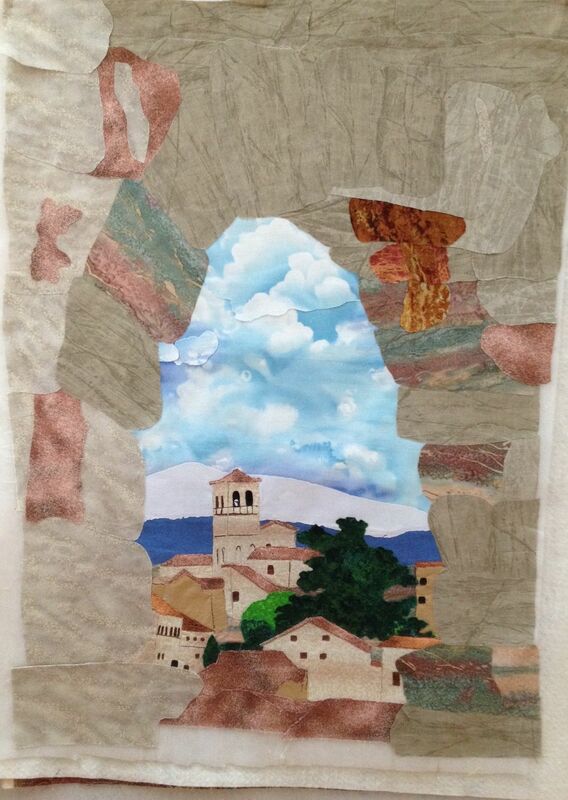 The Present Through the Past (Roman Aqueduct, Segovia), rayon and cotton on cotton. © 2014 Joni Beach. 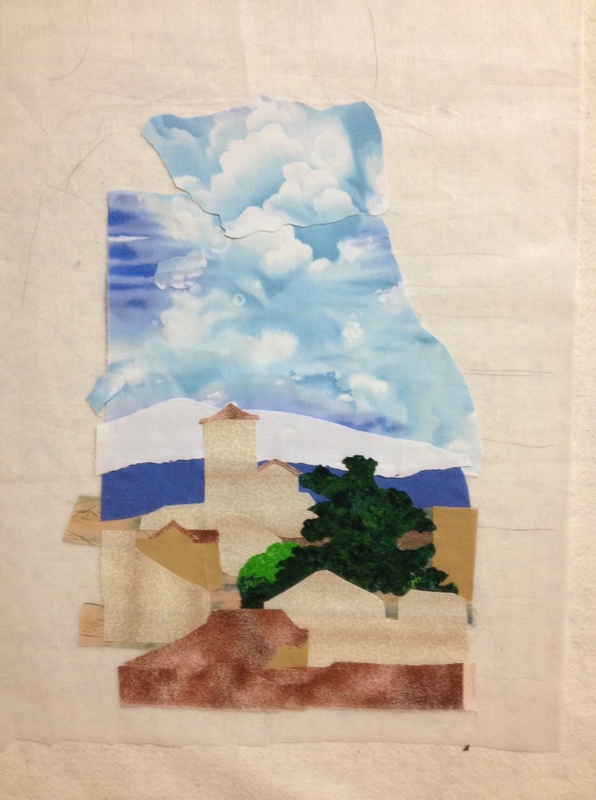 Applique, thread-painting, free-motion quilting. On this piece I enlarged one of my photos and printed it in black and white in a few different sizes. Sketching the desired size onto interfacing to use as a guide, I used 3 photos as inspirations and to compose the design. Here is a picture as I began to cut and place the pieces of the center scene. After the center was pieced and some of the details were thread-painted, I began cutting and placing the stones, surrounding the middle. I experimented and improvised to discover what the materials would do and which fabrics would give shading, depth, and the look I wanted. 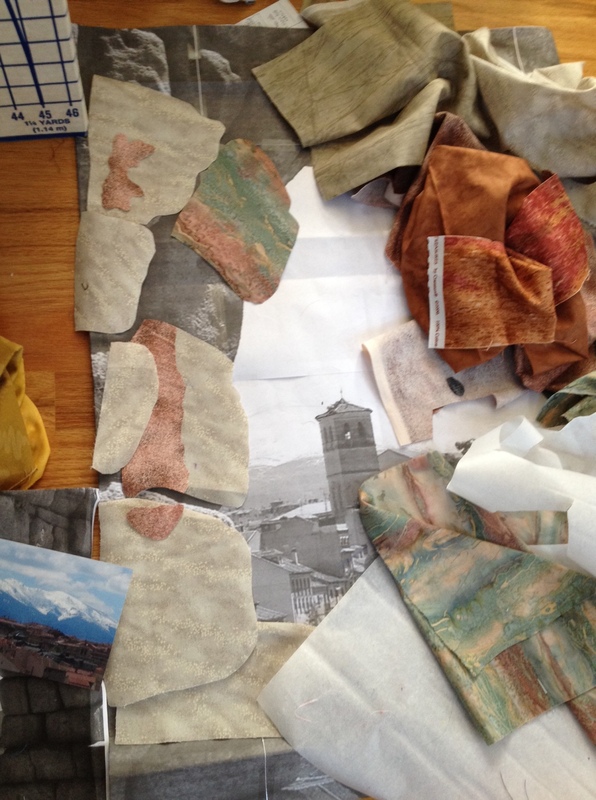 After the arch was pieced, it was put in place on the interfacing around the Segovia scene. Additional free-motion thread-painting and quilting added to the texture and gave the scene more details and dimension. I added a facing to finish the edges and liked the results for this wall-hanging. See this piece and others in this series, Visions of Spain, in my website Art Gallery! amazing how the textile is more awesome than the photos! beautiful piece of art! 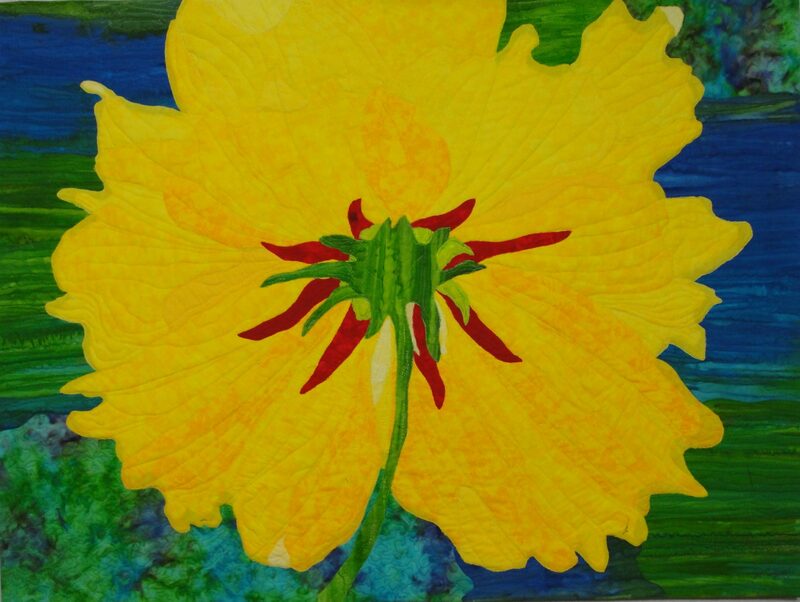 Thanks….textile art enables you to get texture and dimension that’s unique to this medium.